We all enjoy the Christmas holidays as much as you do. 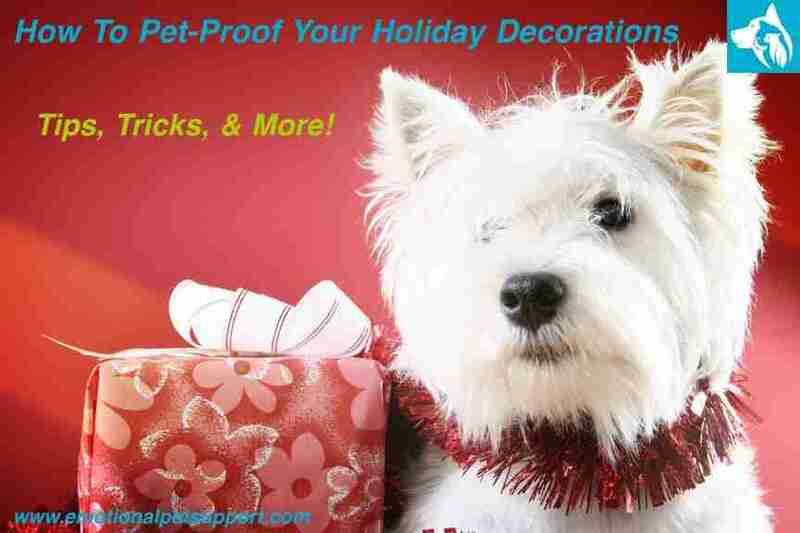 But we need to pet-proof our house so that all of us – including the pet – is prepared for the season. It’s known to be quite difficult to keep your house in order if you have pets, especially delicate decorations and ornaments made from glass can easily break and injure them or you. During the holiday season, we tend to put in a big Christmas tree to our living space and it’s shining; it must be destroyed! Well, at least that’s what your pet is thinking. The holiday season may be one that’s quite chilly since it follows after autumn. Unless you have a pet hamster or turtle confined to its box, you are not safe from the havoc pets can wreck on your carefully set up holiday décor. Let’s just say they makeit their life mission to bring down the tree or tangle themselves in Christmas lights. But don’t let this dull down your festive spirits, here are 6 tips that will help you to decorate without the threat of your pet destroying it or harming itself. Trees have oils can be very harmful to the health of the dogs and cats, if they even have a minor quantity it can harm their intestinal lining and cause a leaky gut which is life-threatening to them. The preservatives sprayed on the trees to keep them fresher for longer can be very harmful to the health of your pet. Always cover the base of the tree well, and you can also use a lemon-scented air freshener near the base to keep the pets away from it. According to VetStreet, you should elevate your Christmas tree. 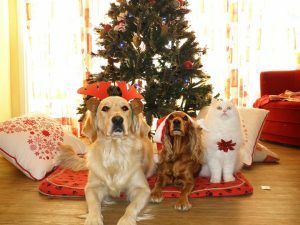 Ultimately, a few minor adjustments to your holiday décor and your house can be helpful in pet-proofing your decorations and also keep them safe in the process.